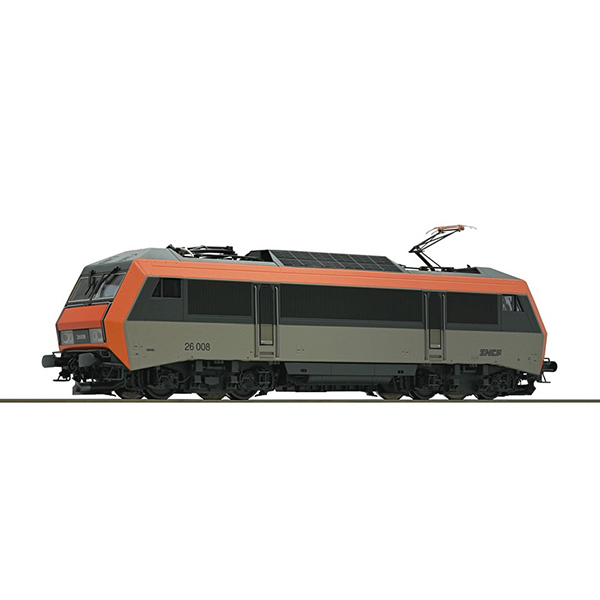 Model Description: lectric locomotive BB 26008 of the french state railways. Epoch IV. Motor with flywheel. Drive on four axles. White/red LED-lighting according to the French original. Finely detailed new construction with separately inserted pieces. The treads of the model are reproduced with fine perforations. The cosmetic highlight is the perforated roof top as an etched part.